First Published: The Spanish Revolution on the Order of the Day for the Left Opposition, The Militant, New York, Volume 4, No. 15, 18 July 1931, p. 1. Retitled and reprinted: Fourth International [New York], Vol. IV No. 10, October 1943, pp. 314–315. All sub-heads by The Militant. 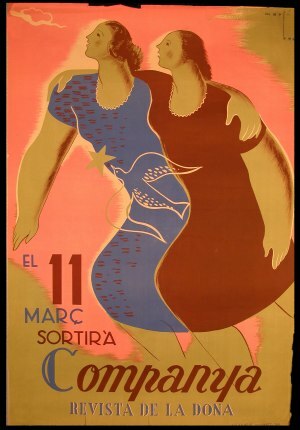 In April 1931, King Alfonso fled Spain and the republic was declared. But it solved none of the vital needs of the masses, above all the agrarian question. The following letters, written in the first months of the revolution, have not only historical value, but are illuminating to read in the light of the events in Italy which, like Spain, has a backward agriculture as its predominant economy but at the same time has a proletariat, concentrated in a few industrial cities, at least equal in culture, militancy and qualities of leadership to any section of the workers elsewhere in the world. The course of events today puts on the agenda an imposing question on the subject of which the Left Opposition can and must say its word. I speak of the Spanish revolution. It is not a question now of a criticism after the event; it is a question for the International Left Opposition of an active intervention in the events in order to prevent a catastrophe. We have few forces. But the advantage of a revolutionary situation consists precisely in the fact that even a small group can become a great force in a brief space of time, providing that it gives a correct prognosis and that it issues correct slogans in time. I allude not only to our Spanish section, directly involved by the events, but also to all our sections, because the further the revolution advances, the more it will draw the attention of the workers throughout the world. The verification of the political lines will take place before the eyes of the world proletarian vanguard. If we are really the Left wing, if we are really strong through our correct revolutionary conception, we must show this strength in a particularly sharp manner during a revolutionary situation. If we are really internationalists, we must do this work on an international scale. 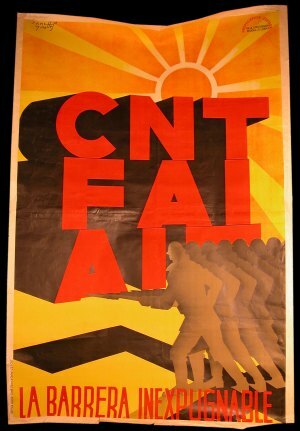 Two fundamental questions must be put squarely by us: (1) the question of the general character of the Spanish revolution and the strategical line that flows from it, and (2) the question of the correct tactical utilization of democratic slogans and of parliamentary and revolutionary possibilities. I endeavored to say everything essential on these questions in my last work on Spain. Here I want only to express myself succinctly on the totality of the questions on which we must pass over to the offensive against the whole line of the Communist International. Ought we to look forward in Spain to an intermediate revolution between the accomplished republican revolution and the future proletarian revolution, a so-called “workers and peasants” revolution with a “democratic dictatorship”? Yes or no? The whole strategical line is determined by the reply to this question. The official (Communist) Spanish party is sunk up its neck in a ideological confusion on this fundamental question; a confusion which was sown and is still being sown by the epigones and which finds its expression in the program of the CI. We have here the possibility of unmasking from day to day before the proletarian vanguard, in the light of living facts, the whole emptiness, the whole absurdity and at the same time, the terrific danger represented by the fiction of a middleof-the-road, intermediate revolution. The leading comrades of all the sections must have in mind that it is precisely we, as the Left wing, who must place ourselves upon a solid scientific basis. Thoughtless dabbling with ideas, journalistic charlatanism in the style of Landau and Co. (German centrists) are contrary to the very essence of a proletarian revolutionary faction. The fundamental questions of the revolution must be studied in the same way that engineers study the resistance of matter or doctors study anatomy and pathology. The problem of the permanent revolution, thanks to the events in Spain, has now become the central problem of the International Left Opposition. The questions of democratic slogans, of the utilization of the elections and, later on, of the Cortes, are questions of revolutionary tactics subordinated to the general question of strategy. But the most correct strategical formulas are worth nothing if one does not find a tactical solution to these formulas at every given moment. However, matters look very bad in Spain from this point of view. The French newspapers carry dispatches according to which the leader of the Catalonian Federation, Maurin, is reported to have said in his Madrid speech that his organization will not participate in the elections because it does not believe in their “sincerity.” Is it possible that this is true? It would mean that Maurin is not approaching the problems of revolutionary tactics from the point of view of the mobilization of the forces of the proletariat, but from the point of view of morality and petty bourgeois sentimentalism. Two weeks ago I would have believed that the bourgeois press was recounting stupidities; but after having acquainted myself with the plat. form of the CataloniŠn Federation, I am obliged to acknowledge that this news, monstrous as it may be, is neverthless not impossible and must not be excluded in advance. Following the Russian experience, the question of democratic slogans in the revolution was posed anew in the course of the struggle in China. However, all the European sections did not have the possibility of following all the stages of this struggle. Thanks to this fact, the discussion on these questions had a semi-academic character for certain comrades and for certain groups. But today, these questions are the very incarnation of the struggle, of life. Can we permit ourselves to be bound hand and foot at so important a historical turning point? Just as during the Sino-Russian conflict which threatened to let loose a war we could not lose ourselves in discussions over whether it was necessary to support the Soviet Union or Chiang Kai-shek so today, face to face with the Spanish events we cannot even admit an indirect responsibility for the sectarian, semi-Bakuninist superstitions of certain groups.